Get Your FREE Special Report. Download Any One Of These FREE Special Resources, Instantly! This handy calculator lets you plug in your expenses for recruiting, benefits, salaries, and more. Graphs automatically generate to show you your annual cost per hire and a breakdown of where you are spending the most money. For a Limited Time receive a FREE Compensation Market Analysis Report! Find out how much you should be paying to attract and retain the best applicants and employees, with customized information for your industry, location, and job. Get Your Report Now! 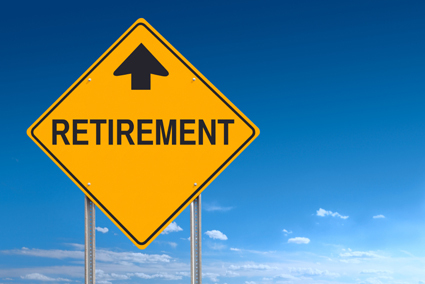 The Bipartisan Budget Act of 2018 passed by Congress on February 8 and signed the next day by President Trump didn’t change retirement savings taxation or contribution limits, but it did bring good news for some plan activities. The measure—keeping alive several proposals debated during the finalization of new tax reform laws in late 2017—relaxed certain restrictions related to hardship withdrawals from qualified defined contribution (DC) plans, eased the return to participant accounts of wrongful levies assessed by the Internal Revenue Service (IRS), and set up a joint congressional committee to review the solvency problems faced by multiemployer pension plans. The Budget Act alters in three ways the rules related to hardship withdrawals from 401(k) plans (and likely 403(b) plans because their regulations incorporate 401(k) plans by reference). Participants in employer plans must have an eligible “triggering” hardship event before they can receive a plan distribution (see 422 in The 401(k) Plan Handbook for more information). These simplifications, plan permitting, start with plan years beginning after December 31, 2018. First, the act eliminates within 1 year of February 9, 2018, the requirement that a participant exhaust the opportunity to take plan loans before receiving a hardship withdrawal. Second, it allows a participant to take a hardship withdrawal from his or her elective deferral contributions, qualified nonelective contributions (QNECs), and qualified matching contributions (QMACs), as well as from earnings on each of those contribution sources. At present, a participant can take a hardship withdrawal from elective deferral contributions but not from QNECs or QMACs, nor from earnings on any of those deferrals or contributions. The current rules have the dual effect of reducing the amount available to a participant who has suffered a hardship, as well as complicating recordkeeping by requiring that a plan keep track of the “principal” deferrals made by participants. The new rules resolve both issues. Third, the Budget Act directs the Secretary of the Treasury to modify existing 401(k) regulations to remove the rule prohibiting participants from making elective deferrals and other employee contributions for 6 months to the plan from which the hardship withdrawal was taken. The guidance likely will also address what happens to participants who otherwise might be in the middle of a 6-month contribution suspension period once the new rule eliminating that suspension becomes effective. “[B]e advised that all of these provisions, which are intended to facilitate hardship withdrawals, are optional provisions. Plan sponsors concerned about ‘leakage’ resulting from hardship withdrawals need not adopt any of these modifications,” advised a February 14 client bulletin from the Wagner Law Group. Finally, this new rule also may have an impact on nonqualified deferred compensation plans subject to Code Section 409A. Under the Section 409A regulations, a nonqualified deferred compensation plan is allowed to cancel a participant’s deferral election following a 401(k) hardship distribution (as well as an unforeseeable emergency distribution under the deferred compensation plan). “Employers should consider whether they wish to continue the practice of canceling deferred compensation plan deferrals after a 401(k) plan hardship distribution once the new 401(k) rule is in place,” said a February 14 Proskauer Rose LLP client bulletin on the changes. Another change for plan sponsors and participants delivered by the Budget Act regards wrongful IRS levies. If an amount was withdrawn from an employer-sponsored retirement plan or an individual retirement account (IRA) due to an IRS levy that was later determined to be wrong, the act permits the affected individual to recontribute the amount returned (including interest) to his or her retirement account in a specified amount of time. This provision is effective with “amounts paid” in tax years after December 31, 2017, but guidance provided was unclear on whether this relates to the date that the wrongfully levied amounts were paid from an IRA or plan, or the date that the amounts were returned to the affected individual. The retirement plan must permit such recontribution, and if it is amended to do so, the amounts will be treated as an eligible rollover contribution. It is up to plan sponsors whether to amend their qualified plans to provide for this change. In addition, the Budget Act established a committee to assist in addressing the funding and solvency issues faced by many multiemployer pension plans and the Pension Benefit Guarantee Corp. (PBGC). The Joint Select Committee on Solvency of Multiemployer Pension Plans is tasked with providing recommendations and legislative language by the end of November 2018 that will “significantly improve multiemployer pension plans and the Pension Benefit Guarantee Corporation.” The bipartisan committee will be composed of 16 members, appointed by party leaders, with an equal number of members from the U.S. Senate and the House of Representatives. Jane Meacham is the editor of BLR's retirement plan compliance publications. She has nearly 30 years' experience as a writer/editor of financial services news.